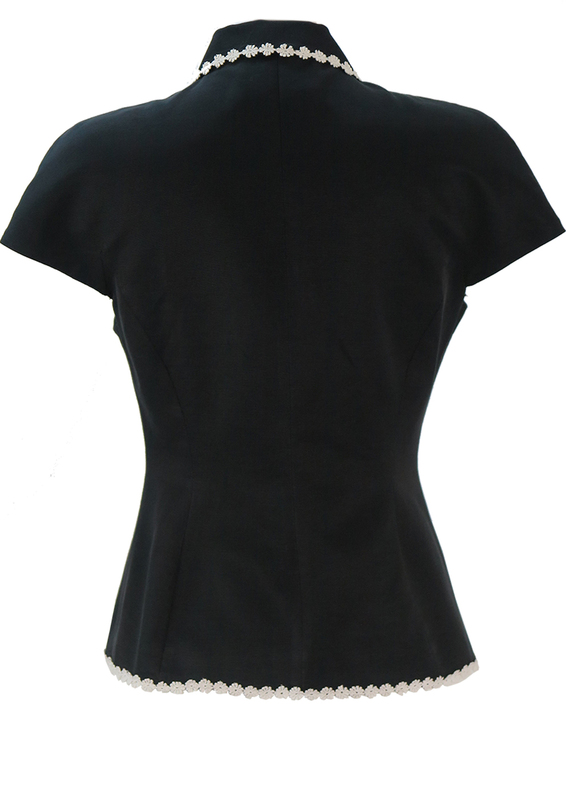 Beautifully tailored black fitted jacket with a very fine horizontal ribbed texture that gives off a subtle sheen. 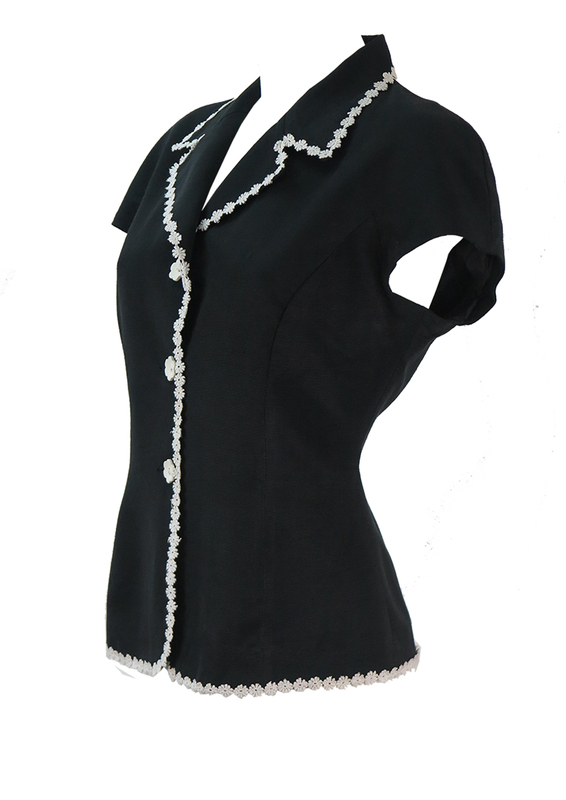 The jacket has cap sleeves and features pretty floral lace edging along the neckline, button line and hem, topped off with white flower shaped buttons. 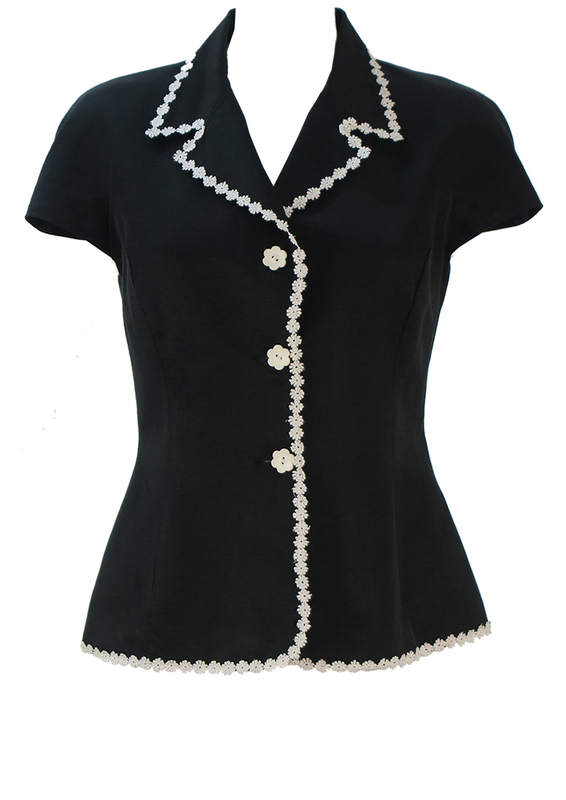 The jacket is fully lined and cinches in slightly at the waist. The sizing label states a 46 which we have equated to size M – however please refer to our measurements for further sizing guidance.